East Woods School is where your child’s potential is only the beginning. East Woods School is a friendly community of students, faculty and parents that feels more like one big family rather than just a school. Founded in 1946 by a small group of parents, East Woods is still a community of like-minded families seeking a school that is small by design, and one that promotes excellence in a nurturing environment. At East Woods School, located in Oyster Bay, Long Island, we develop confident, motivated and kind leaders. We believe that your child’s potential is only the beginning. We cultivate confidence through our philosophy that making a mistake presents the best opportunity to learn and grow. Our students are taught to be fearless in the face of failure. They are encouraged to raise their hands, to stand tall, and to ask questions. They understand that their education is a journey, and not simply a number on a test. They are provided with numerous public speaking and performing opportunities, from their years in the Early Childhood Center to the capstone eighth grade year. Excellence is encouraged through consistent exposure to a STEAM-based curriculum, where advanced learning opportunities abound. East Woods students are immersed in science, technology and math, foreign languages, history, literature, athletics and the arts (musical, performing, visual and industrial).The interdisciplinary approach of the school allows for a deeper appreciation and greater recall of these subjects. The interactive and hands-on teaching style of East Woods teachers allows students to be active participants in their own education. The small class sizes allow teachers to get to know and understand students on a personal level. In turn, our teachers support and challenge our students in a way that is most meaningful to each student, individually. In a highly competitive world, our students consistently place into top-tier independent, parochial, and boarding schools, and then again into some of the top colleges and universities around the globe. 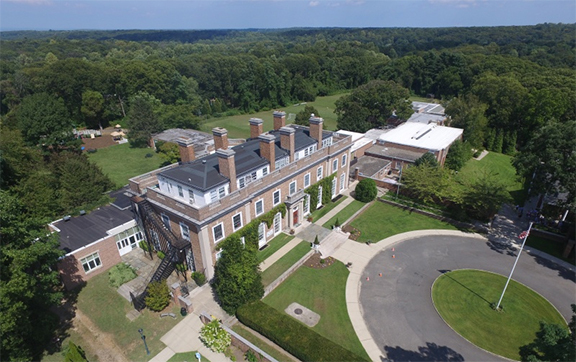 East Woods is a fully accredited private school by the State of New York through the New York State Association of Independent Schools and is a member of the National Association of Independent Schools.